Warwick is in the heart of England and borders the northern extremities of the Cotswolds. 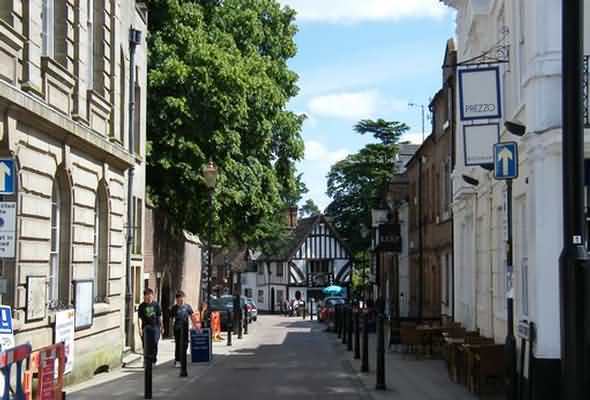 Warwick is the capital town of the English county of Warwickshire and situated 11 miles south of Coventry and 2.5 miles west of Leamington Spa and 20 miles from Broadway and Chipping Campden in the Cotswolds. Warwick means 'dwellings by the weir'. Warwick is probably best known for its magnificent castle - one of England's top attractions set in gardens landscaped by Capability Brown. 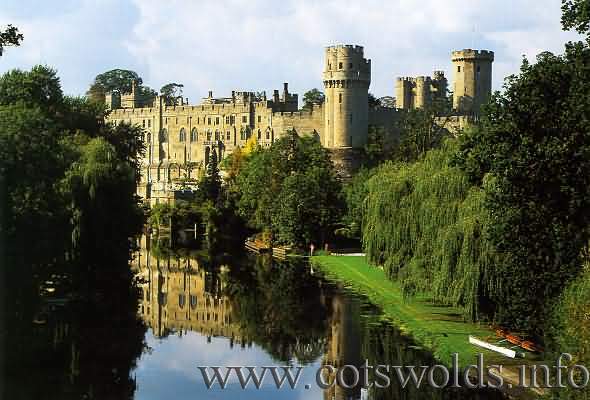 Warwick Castle is the most visited stately homes in the UK. With its staterooms, great hall, dungeons and torture chambers it dates back to the 14th century. The 128 foot Guy's Tower, Caesar's Tower and Clock Tower are magnificent examples of a well preserved heritage. In 2001, Warwick Castle was named one of Britain's "Top 10 historic houses and monuments" by the British Tourist Authority. 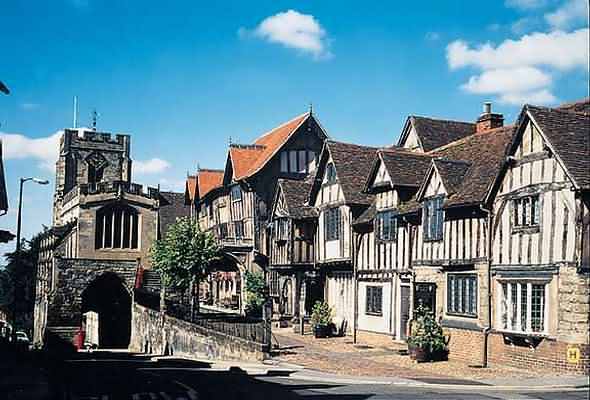 Warwick Museums include St. John's Museum, the Warwickshire Museum at the Market Hall , Warwickshire Yeomanry Museum and the 14th century Lord Leycester Hospital containing the Queens Own Hussars Museum, Warwick's 600 year old mediaeval treasure. 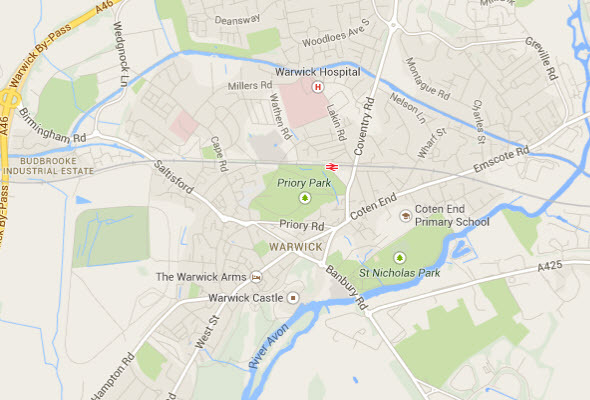 Warwick Shopping boasts a wide variety of quality specialist shops. Here you can browse in antique, china and gift shops. Market Place is the heart of the town centre, hosting a bustling market every Saturday and monthly farmers' markets. Swan Street is always a hive of activity and the town’s busiest shopping street. Head down Jury Street and through the impressive Eastgate to discover the charms of Smith Street, Warwick's oldest shopping street. A group of more familiar high street names can be found around Market Street. The town of Warwick is graced with a wide variety of attractive parks and gardens. 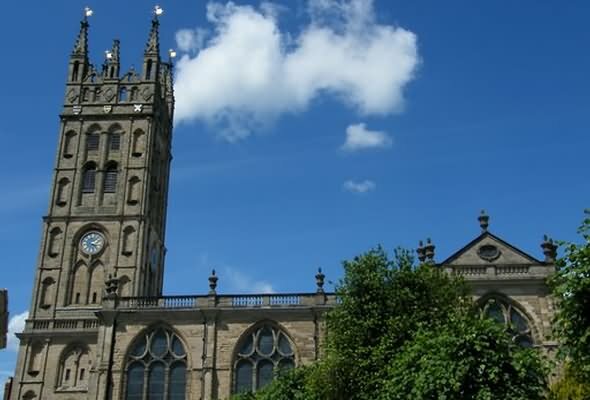 St Mary’s Church is one of the largest and most interesting Churches in England set in the centre of the town. People have worshipped on this site for over 1,000 years, and have left evidence of their faith in the architecture and decoration of the building. The church is open every day of the year, and welcomes a large number of visitors from across the world. All the major churches hold services in Warwick. There is also an historic Friends Meeting House, Unitarian Chapel and various other nonconformist churches in the town. Warwick Horse Racing Course retains its historic charm and character. Nestled next to Warwick Castle. Warwick racecourse is one of the oldest in the country and with racing having taken place here since the 1700s, this is a course rich in tradition and heritage. The racecourse enjoys a full racing calendar all year round with both Flat and Jumps meetings taking place on weekdays and weekends, afternoons and evenings. The racecourse has something for everybody from excellent race day packages to elegant hospitality suites, marquees and private boxes. Accompanied children aged 16 and under can come racing for free. Warwick Folk Festival is held every year in July. The main festival location and campsite are in the grounds of Warwick School, which contains the purpose-built Bridgehouse Theatre for intimate acoustic concerts, the Guy Nelson Hall for ceilidhs and workshops and the main marquee for larger concerts. This site also has craft stalls and on-site catering throughout the festival weekend. Events including dance tours, mumming plays and concerts also usually take place in Warwick town centre which is a short walk from the festival campsite. Warwick University was established in 1961 and received its Royal Charter of Incorporation in 1965. It is situated on a large 700 acre campus which straddles the boundary between the City of Coventry and the County of Warwickshire. The university campus was recently voted best in the UK, the University campus balances the calm and beauty of the countryside with the buzz of a social and vibrant community. Warwick Arts Centre is the largest arts centre in the Midlands, attracting around 300,000 visitors a year to over 2,000 individual events. The Arts Centre is situated in the heart of the pleasant greenfield site of the University of Warwick. Served by the roads A45, A46, M40 and M42. St. Nicholas Park gives visitors an opportunity to enjoy a wide range of activities as it caters for all ages. Located near the river Avon the site was acquired by Warwick Borough Council and was first developed in the 1930s with the opening of Formal gardens and a Children’s corner. After World war 2 further developments to place with progressive improvements over a period of years, as a result the park now has - Play areas, Paddling pool, Roundabouts, Miniature train rides, Crazy golf, Putting, Giant Chess, Boules, Basket ball, enlarged Skate park, BMX track. Boating is also available with rowing boat and motor boat hire, these situated near the castle bridge. There is a leisure centre that offers a wide range of activities and a spacious area of level grassland for picnics, kite flying and ball games. There are toilets that have disabled and baby changing facilities.